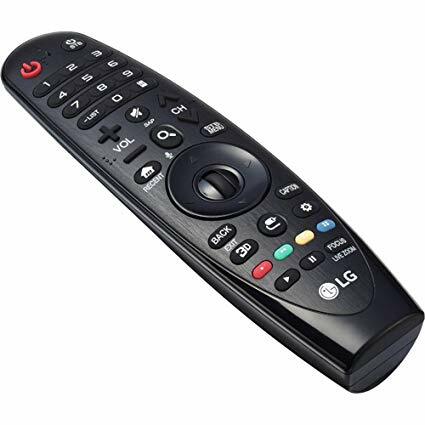 What are the "Next" and "Previous" Buttons on an LG Magic Remote? I have a Magic Remote which looks like this. It seems that there are no buttons, either on the remote or on the OSD which perform the functions of Next and Previous. The left and right buttons are seek forward and backward. Up and down are functionless, and channel up/down is just a longer jump forward/backward function (EDIT: actually appears to be chapter skip buttons). So is there a way to jump to the next or previous file in a playlist, or do I need to seek to the end of the file each time? I hope it's not the latter, because that's would be too onerous for me to make practical use of Emby. Edited by JagYuki, 20 March 2019 - 02:17 PM. Hi, are you testing this with video or audio playback? I am testing this with video playback. The only buttons on the OSD are seek (rewind and FF), Play/Pause, closed captions (if available) and settings. Just adding a next and previous buttons to the OSD would be enough to suit my needs, and I'm actually surprised they're not there by default. I was assuming there was something I was missing. Like a setting I need to change in my user preferences or the server dashboard. Edited by JagYuki, 20 March 2019 - 02:25 PM. How do you select a different episode than what on deck? I actually don't know what you mean by "on deck". I set up each TV series in its own playlist (and also one mega playlist of all my files together), then I choose whichever series I'm in the mood for and hit shuffle. If I don't feel like watching the episode that comes up, I hit "next" until one I want to see comes up. Or at least I would if there was a "next" button on the remote or OSD.